Bumblebee is easily the best film in the Transformers franchise. Considering that it’s also the sixth film in the series, this is saying a lot. When the first movie was released back in 2007, there was a sense of nostalgic wonder to seeing these characters brought to life on the silver screen for the first time. However, the franchise squandered this sense of wonder thanks to four overlong, overblown, and ultimately meaningless dumpster fire sequels. Although 2017’s The Last Knight was meant to pass the baton onto new filmmakers after it’s conclusion, it proved to be a box office failure and the lowest grossing installment in the franchise. Right off the bat, Bumblebee plays against audience expectations. It’s smart enough to know what fans are looking for, but it also immediately feels different. After watching Bumblebee, it’s obvious that Bay’s films never truly had any reverence for the Transformers brand. Honestly, there’s no reason that Bay should have directed those sequels in the first place. Regardless, Bumblebee proves that the Transformers were in desperate need of fresh blood. While this new direction certainly makes this movie feel fresh, it may also have the ability to save the franchise. As the first of what were supposed to be a ridiculous amount of Transformers spinoffs, Bumblebee’s success starts on the page. The movie acts as a soft reboot for the franchise – just paired down to something more distinct and consumable. By setting the movie in 1987 and introducing a whole new cast of human characters, Christina Hodson’s script immediately sets itself apart from Bay’s films. The opening action sequence re-contextualizes everything we think we know about these movies. 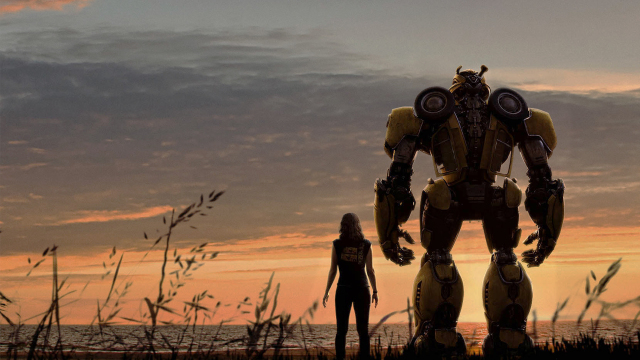 While Bumblebee feels like a familiar coming of age tale, the script puts an emphasis on establishing characterization. It also takes it’s time to build the relationship between our new protagonist, Charlie Watson, and the eponymous hero. The structure of the script is impressive, as it seamlessly blends Bumblebee and Charlie’s respective thematic journeys. In many ways, they share many of the same characteristics. They’re both loners, they’ve both lost mentor figures, and they both feel like outcasts. While the throughline for Charlie and Bumblebee is about taking both a metaphorical and literal leap of faith, it’s also about letting go of the past. Considering the rocky history of the franchise itself, this feels like the proper sentiment for a movie that’s all about new beginnings. After the previous films, it’s shocking that Bumblebee is able to exude any kind of emotion – let alone a story that has smart writing and clear character arcs. While it’s still a Transformers movie at its core, Bumblebee’s script offers naturalistic dialogue, clear and effective plotting, as well as some wonderful thematic resonance to boot. 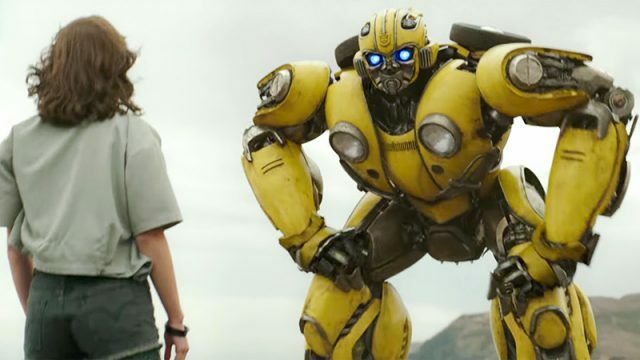 Hodson’s screenplay laid out the foundation for its success, but Travis Knight’s tactful direction allowed Bumblebee to flourish. Despite having a much smaller, more specific take on the material, Knight’s approach is far more accessible than any previous Transformers movie. Knight’s biggest contribution seems to be the sheer amount of heart that he brings to the project. 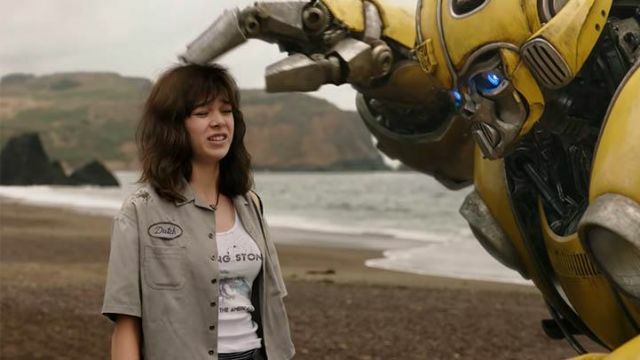 Bumblebee is certainly a very funny movie, but in a weird and quirky kind of way. Although he is able to handle the moments of drama and action equally as well, Knight is most at home when focusing on the small character moments. For such a high-profile property, Bumblebee has a surprising lack of well-known, name talent attached to the film. With the exception of Shia LaBeouf, the franchise has largely miscast most of its characters. Even though Bumblebee absolutely bucks this trend, the fact that the cast is mostly made of up-and-comers makes Bumblebee feel even personal and distinct. Hailee Steinfeld’s portrayal of Charlie is solid and proves that she can lead a film. John Cena’s performance as Jack Burns is equally as impressive. Although he’s not given as much screen time as Steinfeld, Cena offers a surprising amount of variety within his performance – especially when you consider the baggage that comes with Cena’s persona. Jorge Lendeborg Jr. also has a breakout turn in the movie, offering a nice counterpart to Bumblebee and Charlie’s friendship. Then there’s Bumblebee himself, who – at least at first glance – seems like the least likely out of all the Transformers characters to be worthy of his own movie. Although he’s never been a particularly complex character, Bumblebee manages to give its hero a surprising amount of depth. Some of the movie’s most obvious changes are to the design of the characters, which look back to G1 Transformers for inspiration. 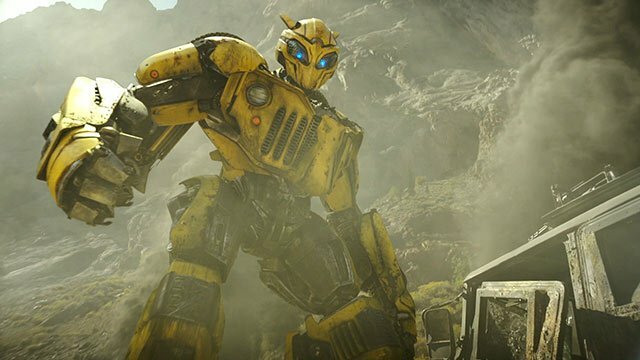 The visual look of Bumblebee also gets an overhaul, making him more of a runt than even before. That’s an element that ultimately works to the film’s advantage. In addition, Knight also makes a point to put us in the literal shoes of character – a visual device that is best described as “Bumblebee vision.” While this is something that feels like an advancement of the same device established in the Terminator franchise, it’s also an ingeniously familiar way to show a new side of Bumblebee that hasn’t been seen before. The Transformers movies are probably most associated with the over-the-top action that Bay’s style provides. As the movie with the smallest budget of the entire series, the quality of Bumblebee’s action is light years ahead of its predecessors. Knight isn’t the most stylistically oriented action director. But what he lacks in flair, he makes up for in clarity and emotion. Whereas Bay’s action is often unmotivated and wildly unfocused, Knight’s approach is centered on revealing character and story. As a whole, Bumblebee is a massive improvement over its predecessors, while offering a visual approach that puts story and character above all else. If there’s one major issue that the movie has, it’s that Bumblebee is a little confusing in terms of its connections to the other movies. The story plays into certain elements – specifically from the first Transformers. But it also creates logic gaps between Bumblebee and the 2007 film. Normally, this wouldn’t be much of an issue at all. It’s when the movie goes out of it’s way to remind us that it’s a prequel to Transformers that things begin to get muddled. These films have always had a very questionable approach to storytelling and the connective tissue between each movie. 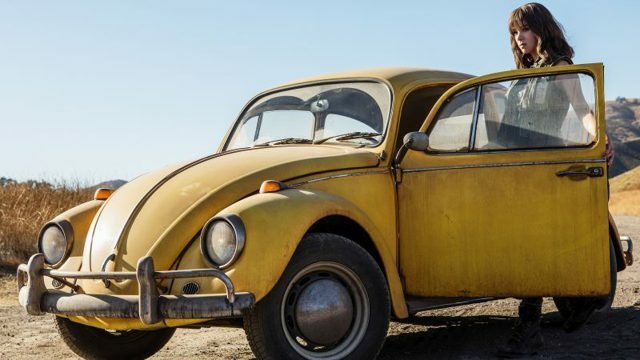 Bumblebee also plays fast and loose with the continuity, but it’s a small price to pay for a film that redeems the franchise in one fell swoop. Bumblebee’s best attribute is that it has a great story that was absolutely worth telling. Unlike its predecessors, it never outstayed its welcome. it has a very level headed, even-handed approach to the Transformers mythos that pays respect to everything that’s come before, while simultaneously forging a new path. Most of all, Bumblebee makes the prospect of more Transformers movies exciting again. Before this film, that was seemingly impossible.